This is the most common and fastest way to find rental housing. Private rentals are advertised on the internet, the Winnipeg Renters Guide, newspapers, and on buildings or windows showing “For Rent” signs. Average prices in Manitoba are from $550 (for a ‘bachelor’ suite with no separate bedroom) to $1200 (for an apartment with 3 or more bedrooms). The government pays a portion of your rent in public or subsidised housing. This is a rent-geared-to-income (RGI) program where you usually pay 30% of your monthly family income for rent. For example, if you make $1000 per month, your rent will be $300 per month. This is resident-managed housing with private living units and shared common spaces. If you want to live in a co-op unit you must first apply for membership. If your membership application is approved, you will pay a one-time membership fee (usually between $500 and $2000) before you move in. Learn more about your housing options, how to find a home, apply for financial assistance and your rights and responsibilities as a renter. Register for our Free Rental Workshop, meet our advisor, find out how to rent a home, ask questions and get answers. Click here: New Journey Housing. Read the Renting a Home in Manitoba booklet, a step-by-step guide to help you through the rental process, from finding a rental home to moving out. 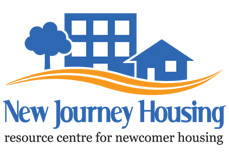 New Journey Housing is a resource centre which trains and assists newcomers and those who support them, through the process of attaining and retaining decent affordable housing in Winnipeg.